Samba is a nice service to provide storage space through networks and it is relatively easy to set up. It’s not as fast as using NFS between Linux hosts but sometimes you don’t have that possibility. Sometimes there also might be quite confusing problems like I happened to notice. 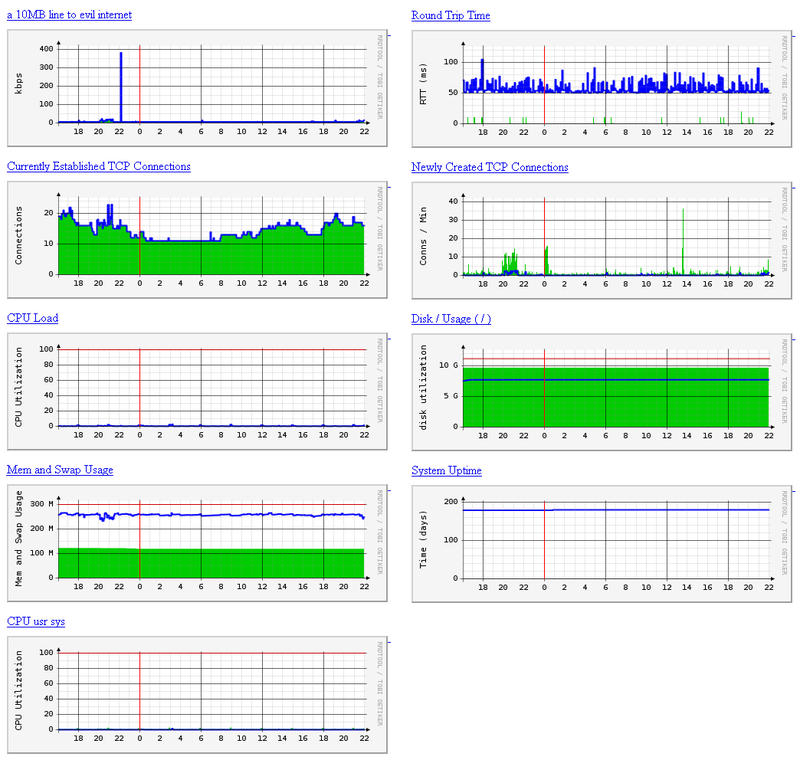 My Samba service had worked fine for a long time but after a kernel update and a reboot, the performance was horrible. It was really slow to do anything. Fortunately I wasn’t the only one to come by with this problem and there was a topic Samba Performance Problem Due to Changing Linux Kernel in Samba Performance Tuning -guide which provided a solution to my problem. Just restarted the network interface and the performance was as good as before. Earlier this month Samba Team Received Microsoft Protocol Docs so maybe in the near future we will get better and faster software. The Protocol Freedom Information Foundation (PFIF), signed an agreement with Microsoft to receive the protocol documentation needed to fully interoperate with the Microsoft Windows workgroup server products and to make them available to Free Software projects such as Samba. Microsoft was required to make this information available to competitors as part of the European Commission March 24th 2004 Decision in the antitrust lawsuit, after losing their appeal against that decision on September 17th 2007. After updating to expat-2.0.1, it tells you to run revdep-rebuild -X --library=libexpat.so.0 but even after that apache2 couldn’t be started. It says that /usr/sbin/apache2 can’t find shared library libexpat.so.0. After some googling I found a message in Google Groups which deals with the problem. The problem is that /usr/lib/libaprutil-0.so.0.9.12 which belongs to apr-util is still broken. But how can that be broken when you just ran the revdep-rebuild which should have fixed the problem. The reason is that by executing eix apr-util, you see that there are two versions of apr-util installed. After re-emergeing the apr-util-0.9.12-r1, apache2 starts normally. The problem is actually caused by the “-X” option of revdep-rebuild command, which emerges the best (currrently is the latest stable) packages available. In this apr-util case, it will emerge apr-util-1.2.8. So for slotted packages, don’t use “-X” option for revdep-rebuild command. This article might be a bit outdated on some parts but just Google if problems arise. Statistics and graphs are nice way to follow what the machine is doing. Just a little bit of configuration and scripts you can use f. ex. servers’, routers’ and firewalls’ operational statistical data from their Object Identifiers (OID) with the help of Simple Network Management Protocol (SNMP) and Management Information Base (MIB) which define the available OID functions. We want to restrict the use of SNMP to local network so we edit SNMP’s config file which contains the community string and other parameters. Our selected community string here is “humppa”. only 3 networks (localhost, 172.168.1.0/24, and 192.168.1.0/24) are allowed to use SNMP with humppa community string. Every network is on the MyROGroup and defined to use SNMP version 1 protocol with all MIBs. Only Reading the MIBs is allowed and thus the write section is “none”. MRTG (Multi-Router Traffic Grapher) is a tool to draw some graphs from different statistical sources and they can look like the image on the right. MRTG’s config file is usually found in /etc/mrtg/mrtg.cfg and the resulting files are usually found under the Web Server’s root (f. ex. /var/www/mrtg/). Execute the script env LANG=C /usr/bin/mrtg /etc/mrtg/mrtg.cfg 3 times. You get some errors but don’t worry. MRTG can log data with RRDtool which is better than the default log format. Just use the “LogFormat: rrdtool” line and you’re done. There is more information about RRDtool and MRTG on Oetiker’s site. To use Mrtg-rrd.cgi just download it from the link above and place it on Apache’s cgi-bin -directory. I googled for some scripts to get Apache statistics but found none. Luckily I had one on my harddrive which does the trick. Just don’t remember where I got it. After that you can see Apache status in http://localhost/server-status. Next step is the script: webstats.pl. Joel Knight at packetmischief.ca has a nice script for getting stats from Postfix. The idea is to “determine the number of email messages delivered locally and abroad per unit time and to graph that data.” There is also Craig Sanders’s script to provide same kind of results but I found the Joel Knight’s script to be little better. The whole thing is documented on those pages so check them out and get some nice statistics. The difference between Joel’s and Craig’s scripts is that with Joel’s script you can also draw graphs of rejected mails. Normally putting up a web server with PHP and database is easy and the default settings are enough but sometimes there is need for tuning the performance. The server might be low on memory and the CPU and has (too) many things to handle. Also it is good to know how things work. There is a great series of three articles on IBM’s developerWorks -site about Tuning LAMP systems. First article is about “Understanding the LAMP architecture”, second article concentrates on “Optimizing Apache and PHP” and final part is for “Tuning your MySQL server”. More practical example is on Disruptive Library Technology Jester -blog which writes about WordPress/MySQL Tuning on a Pentium III with 512M RAM box which runs a mail server (IMAP, ClamScan, Spam) and an Apache (WordPress and stuff). Article contains setting up Alternative PHP Cache and some options for database tuning focusing on memory management. About MySQL tuning the article points out Peter Zaitsev’s “What to tune in MySQL Server after installation” and ez.no documentation on Optimizing for read performance. Couple of days ago I updated my home Gentoo box and after that syslog-ng was too full of connections. As always the remedy was near. to the syslog then read this helpfull topic from Gentoo forums. * This version of syslog-ng fixes a bug in enforcing the max-connections() limit for various stream-like sources (unix-stream and tcp). Previously this limit was not enforced, thus production environments may use an inadequate value. Validate your max-connection() settings before upgrading and check your logs for rejected connections. The first post of a blog is always more or less about “Hello World!” and “Look at our new and shiny blog”. This time this “Hello World!” post is about “The Rule of Tech” which means everything and nothing. As thousands and thousands of other meaningless blogs also “The Rule of Tech” blog has no real function about giving something special or informative to the blogging community or the Web altogether. Just another blog in the blogosphere. This is a good starting point for a blogger: no stress about writing something usefull, just type post after post without thinking about the content. The blog has some general topics about technology, computers and the Internet but at this time those are just the starting point. We will see how this blog turns out and what are it’s main points in the universe of random bits. The posts may be about technology, linux, programming, bits and bytes, computers, rants and everything between this and that.